I’m the sort of person who starts planning their holiday wardrobe the moment the hotel email confirmation comes through. I’ve definitely got much better with my packing skills, though, and this year have vowed to buy pieces I know won’t date in my wardrobe. This is where Buchanan Galleries stepped in, kindly giving me a £150 gift card for the Glasgow shopping centre to find some perfect summer style essentials. 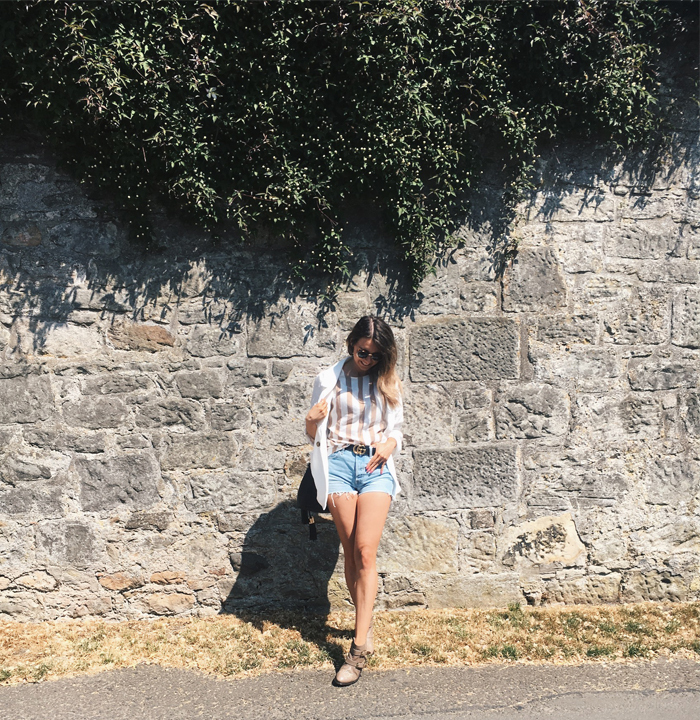 I thought I’d talk you through my picks and share my advice on creating a wearable summer wardrobe. 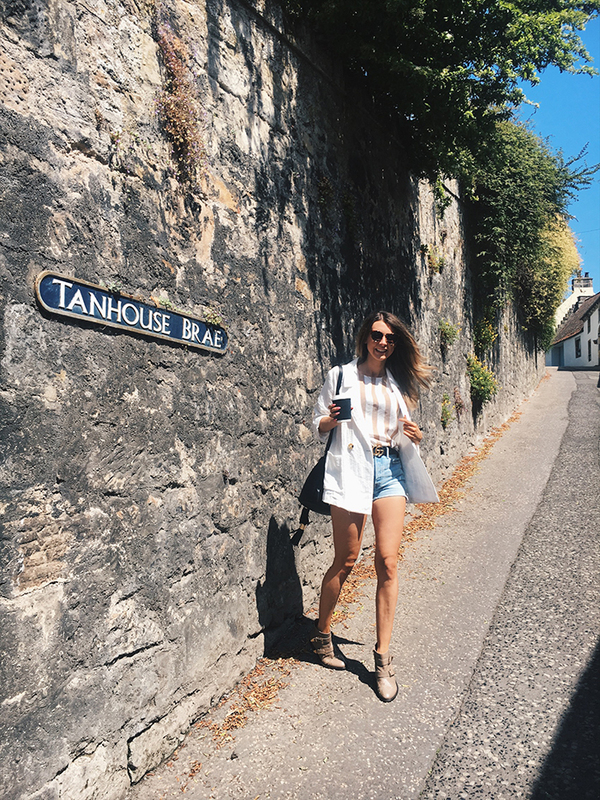 My Pinterest saved pins have featured plenty of this coffee colour brown in polka dots and stripes – perfect colours for a summer tan. I spotted this River Island striped top on a mannequin in the window of the Buchanan Galleries store and immediately went in to find it! I always like an oversized fit, but this is an XS so if you are buying, I’d stick true to size or go down a size. I love this top with denim shorts and jeans, but I’m also going to wear it with a white skirt like this one with sandals for a more polished look too. I do love a good bit of outerwear all year round and white is great for the summer months. I’ve been looking for a summer blazer for a while so I was so delighted to find this one from Monki. I posted some of my other fave picks from Monki on my Insta Stories and had lots of messages asking where the shop was so it’s located in the old H&M Divided store if you want to go take a look at the affordable and stylish collections. The blazer itself is great quality linen material so will be great for night time on holidays or warmer days in Scotland where you still want a cover up. I loved the button detail too, it makes it look much more expensive than its £45 price. One thing I knew I wanted to find was a new pair of denim cut offs. I am so fussy when it comes to denim shorts and had a pair of Levi’s vintage ones that I loved and wore so much, so I knew I had to head to the Levi’s store ASAP to find a replacement. The staff in the Levi’s Buchanan Galleries store are always lovely and helped me find the right fit. I love the slightly distressed finish and the fit is a lot more respectable than my good old vintage pair which were on the shorter side, to say the least! Another Monki find, I could not believe these sunglasses were only £10. Plus, they also come with their own little bag, which I thought was a nice touch for the bargain price. I think these look properly designer with the gold metal frame and cat eye shape. They had some other gorgeous styles too, so I think I’ll need to go pick a few more up! 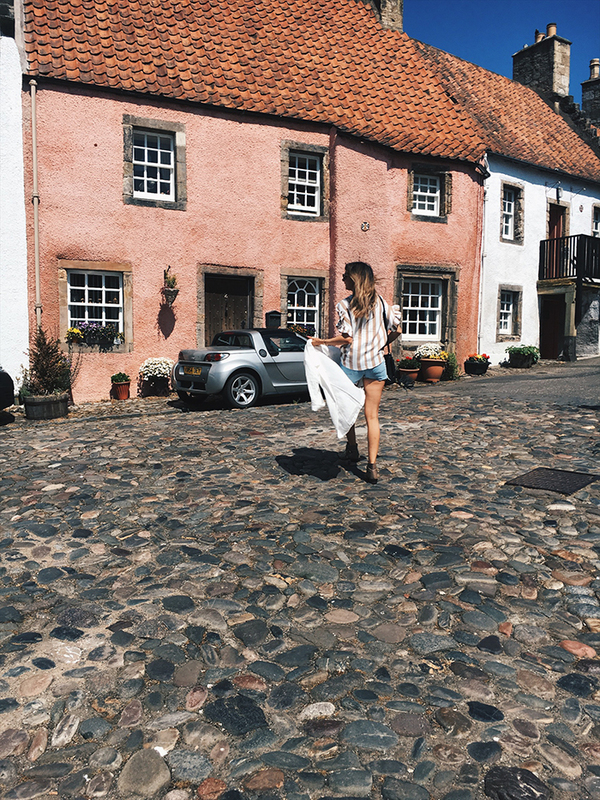 With the perfect base of a summer outfit sorted from Buchanan Galleries, I added a few of my own pieces to create a laid back, yet still dressy look. A pair of flat ankle boots are great for summer, especially if they have studs to give it a bit more of an edge. I added my trusty Gucci belt, but I spotted loads of amazing belts in the Mango in Buchanan Galleries too. Leather bucket bags are on trend for this season and fit so much in that they’re great for any city breaks or even as your airport bag. The one I’m wearing is from Chloe, but they had some seriously stylish ones in John Lewis, including an amazing leopard print one that I might need to go back for! When it comes to summer styling, I say comfort is key. Try and choose pieces you know will see you through more than one summer – nothing beats the classics! This is a gifted collaboration with Buchanan Galleries.